Friends and supporters of Joseph’s Home gathered on the Feast Day of St. Joseph for a celebratory Mass and reception at St. Vincent Charity Medical Center. If you missed it this year, the Feast of St. Joseph falls on March 19 annually. Plan to join us in 2015. We look forward to seeing you! “Joseph was not big on talking, but was big on loving.” – Father Gary Chmura, in his homily for the 2014 Feast of St. Joseph Mass. 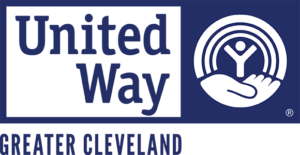 Joseph’s Home, the only Northeast Ohio organization with the sole mission of helping severely ill homeless men recover their health and stabilize their lives, will hold its signature annual fundraising event Friday, June 20 at 11:30 a.m. at Windows on the River in Cleveland. The event, Perseverance in Hope, celebrates the remarkable healing and achievements of the men who have stabilized their health and transformed their lives at Joseph’s Home. Funds raised will provide meals, shelter and care for the residents of Joseph’s Home. Paul Meshanko, president & CEO of Legacy Business Cultures, author of The Respect Effect and accomplished business leader, will deliver the keynote address. His talk will focus on the power of affirming relationships to transform lives. Dawn Kendrick, who has been reporting and anchoring at 19 Action News for nearly 13 years, will serve as the emcee for the luncheon. In addition to Meshanko’s keynote address, Joseph’s Home will present its Community Partnership Award to Rosary Hall and share stories of men whose lives have been changed at Joseph’s Home. The benefit luncheon is open to the public. Tickets begin at $50 and are available for purchase at josephshome.com. Sponsorship opportunities begin at $500 and are also available for purchase at josephshome.com. When: Friday, June 20 at 11:30 a.m.